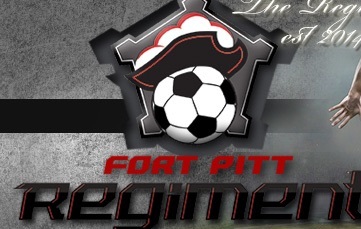 Yes, there’s another pro soccer team in the Pittsburgh area, and that would be the Fort Pitt Regiment of the NPSL. The Regiment are owned by the PA West Soccer Association. They play all of their home games at Montour High School’s Thomas Birko Memorial Stadium. After a fairly successful first season as Great Lakes Eastern Division Champions and Midwest Regional finalist, the Regiment will be playing 12 games in their second season in the National Premier Soccer League. They will open their league season on May 29, at Indiana Fire Jr’s. Their home opener is scheduled for June 7. One thing we do know, and that The Regiment are still conducting tryouts and their preseason is just beginning. As their roster takes shape, and we know more about their staff, I’ll provide more updates. There is a link to their official site here on the right panel here on Pittsburgh Soccer Report. Riverhounds advanced on penalties in the second round of the U.S. Open Cup in 2013 vs RWB Adria. A one-and-done tournament, that includes all levels of club and professional soccer — The Lamar Hunt U.S. Open Cup tournament – is the closest thing we have in pro team sports in the U.S. to something like the March Madness — NCAA basketball knock-out tournament. It’s a tournament where the little guys have pulled some big upsets and have a chance to beat the big boys. The Rochester Rhinos (currently of USL, and formerly as a A-League team) won the Cup in 1999. Both Pittsburgh pro clubs, The Regiment and the Riverhounds will be playing in this year’s Lamar Hunt U.S. Open Cup. The Riverhounds have a history of competing in the Cup going back to their inaugural season of 1999. The last two seasons, the Hounds had to shake off a challenge from Chicago-based, U.S. Amateur Champions, RW Adria — and memorable matches at Highmark Stadium that needed to be settled after regular time. And last season, the Hounds lost 2-0 to the Chicago Fire of Major League Soccer in a storm shortened match at Toyota Park. The Regiment will play early in the Cup competition, either against a PDL or another NPSL team. If they win, it will be interesting to see if they could potentially match up against the Riverhounds or another USL team in the third round. The Riverhounds will begin play in the U.S. Open Cup in mid-May. More details will follow in the coming weeks. 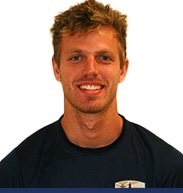 Tyler Pasher has received his international transfer clearance and is immediately available for selection in USL games for the Riverhounds. Pasher signed a contract with the Riverhounds in January. He played in the team’s preseason warm-up games as well as Tuesday night’s 2-0 win over the University of Pittsburgh. There’s a good chance that the 20 year-old Canadian, who was called up by his national senior team a few weeks ago, will make his debut for the Hounds on Saturday as they will be short a few players due to injuries and suspensions. ***UPDATE*** I reported that the North American Soccer League (NASL), considered U.S. Soccer’s second division, announced it’s 12th franchise this week will be the Charleston Riverdogs. Of course, this was an April Fools announcement. Thanks Vince Nairn for the heads up!! Of course — it was a brilliant attention grabber by the Charleston Riverdogs BASEBALL team. There will be no Charleston soccer team playing in NASL soccer in the near future. The Riverdogs, by the way, play in the Class Single-A South Atlantic League and are an affiliate of the New York Yankees. Despite the clever promotion, I will stick with my thoughts on the Riverdogs nickname is a poor man’s version of Riverhounds. With the significant roster overhaul to the Hounds roster this year, would have some wonder what happened to some of the guys that were with the team last year or in recents years. Each week, I will be checking in to see how some of them are doing. Mike Seth – Scored a goal in the losing cause for the Colorado Silverbacks (USL) on Saturday. Jose Angulo – Fort Lauderdale Strikers (NASL) – was not in the lineup for their opener vs NY Cosmos this past week. No word if he’s nursing any injuries. Brian Fekete – is on the roster for the Austin Aztex (USL), but he has not had any appearances yet this year. Hunter Gilstrap – picked up his first victory of the season with the Carolina Railhawks (NASL), in their opening 3-1 win over the Ottawa Fury.